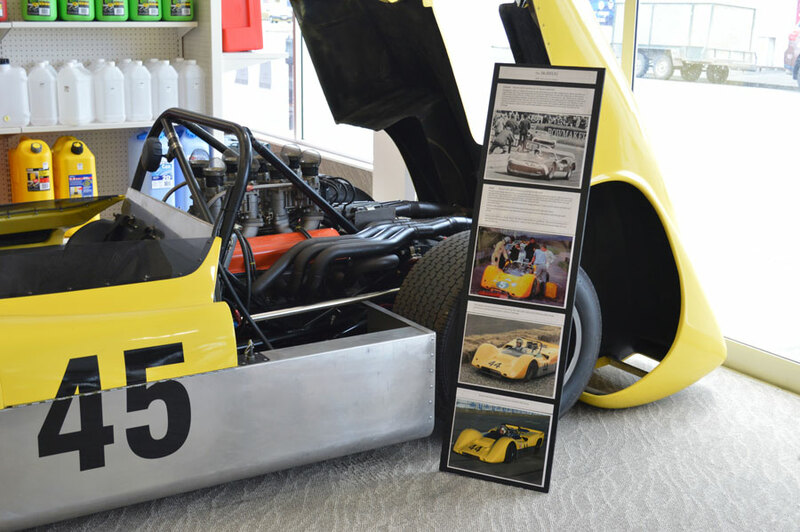 The latest exhibit to take up residence in our Motorworks Collection is one of New Zealand's iconic race car designs - the McBegg. Originally from Drummond in Southland, engineer George Begg was a successful Grand Prix motorcycle racer before turning his hand to building race cars. 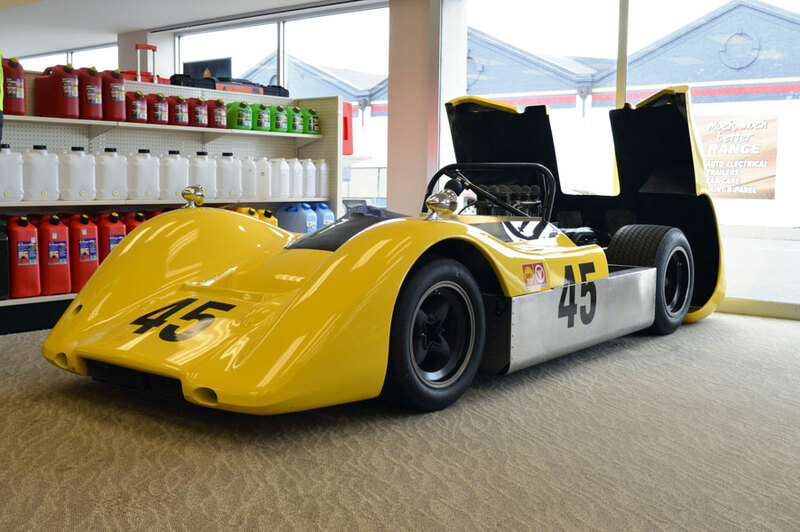 One of George's most well known designs - the Begg 650, of which 18 were built - is a regular visitor to our displays in our showroom. The latest arrival however is a single, one-off model - the McBegg. 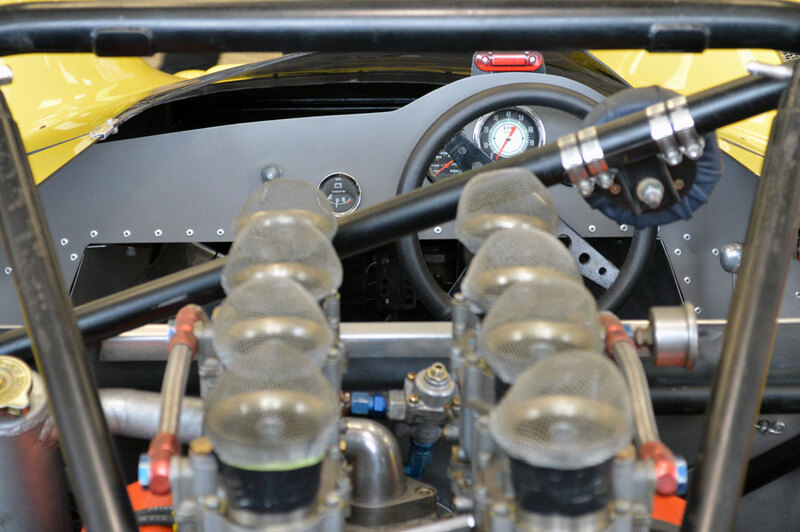 After working for Kiwi motor racing icon Bruce McLaren at the McLaren factory in England, George packed a container with discarded parts and sent it to Drummond where it arrived on December 23, 1968. 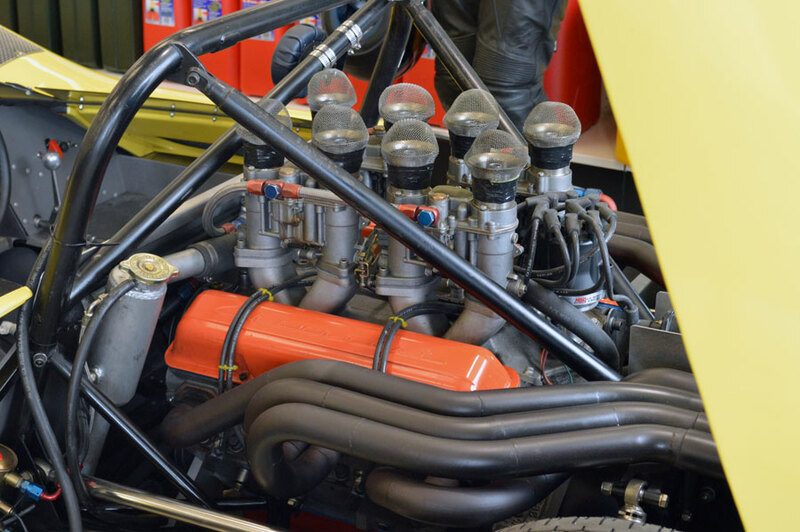 Included in the container were a chassis from the 1966 McLaren M1B and the body from Denny Hulme's M6 Can-Am car. Redesigned and rebuilt at Drummond as a McBegg, (a nod to the McLaren connection) the car ran successfully throughout New Zealand for several years with a number of drivers, including Southlander Barry Keen and West Otago's Laurence Brownlie, who broke a land speed record in it. 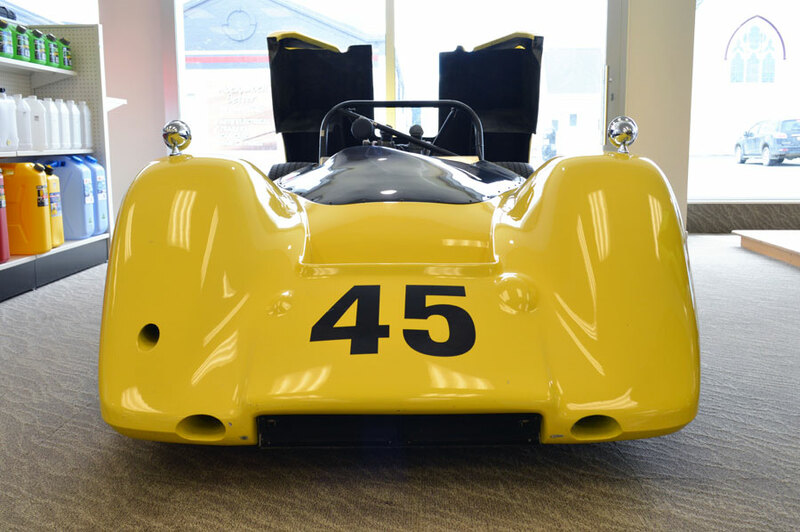 The McBegg is currently on display in our automotive department and is on loan from Wal Willmott and owned by Jay Esterer.